Together We Save: Nike Bonus Days [US Only] Get 20% Cash Back on Nike Gift Cards this Month! Nike Bonus Days [US Only] Get 20% Cash Back on Nike Gift Cards this Month! Looking for a gift for an active mom, or maybe thinking ahead to get something nice for a fitness-focused Dad or Grad? Then snag this deal before it's gone: right now on MyGiftCardsPlus, buy a Nike Gift Card and get 20% Cash Back! They have denominations from $25-$150 and the 20% Cash Back counts on every card, not just the first one, fitting every budget. So treat your favorite person to some Air Jordan's, a pair of Nike's latest sneakers or Athletic wear, Nike branded equipment, or anything else you can find on Nike.com or in any of their retail stores and save a whopping 20% up front! 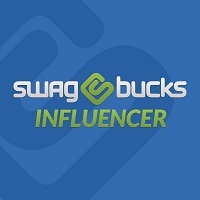 If you're already a Swagbucks member, login. If you're new to Swagbucks, sign up for your free account! Choose your denomination(s) and go to checkout! 20% Cash Back will be added to your cart at check out in the form of SB (1 SB = $0.01, so 2000 SB = $20). Once you receive your Nike Gift Card, usually within just a few days, the SB amount will be deposited in your Swagbucks account. You can redeem these for more gift cards or cash via PayPal! It's so simple and such a good deal, it's hard not to go crazy and get Nike Gift Cards for the whole family!